Unique pieces of history from Erie Canal. These stones measure 18-24" tall, 24" deep and 3-6' long. 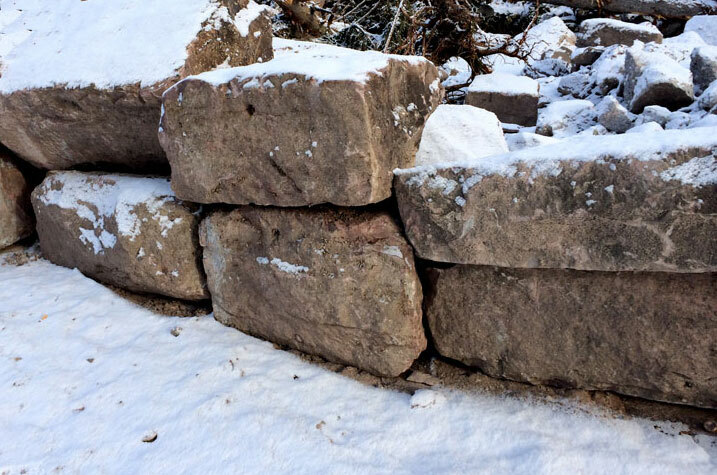 Perfect for seating, walls, specimen stones or garden art.